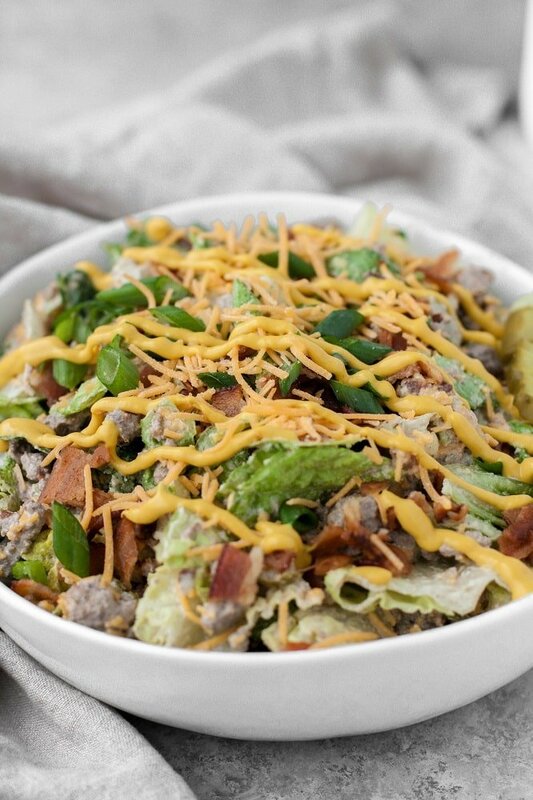 Bacon Cheeseburger Salad… YES PLEASE. 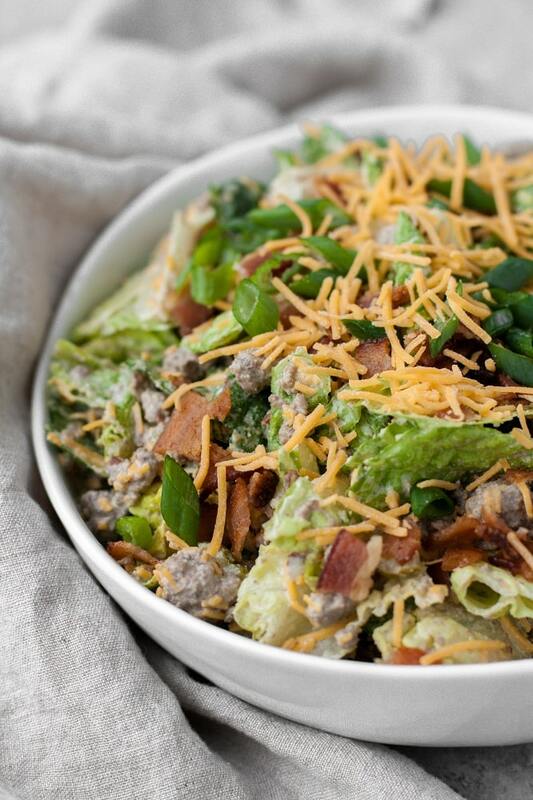 This keto dinner option is basically heaven in a bowl. 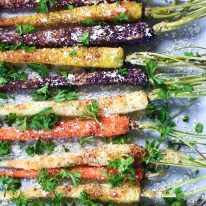 Straightforward ingredients with minimal preparation required, this recipe is sure to become an instant household favorite! In one short taste-test, this recipe instantly became Ryan’s favorite meal. He immediately commented that it tasted how he remembered a McDonald’s Big Mac to taste, but better… and with BACON. I batch made this salad for him for lunch for work and he hasn’t stopped talking about it since! The best parts about this meal is that it contains minimal carbs, is incredibly satiating, and is full of all of the best flavors (helllllo beef, bacon, AND cheese!). 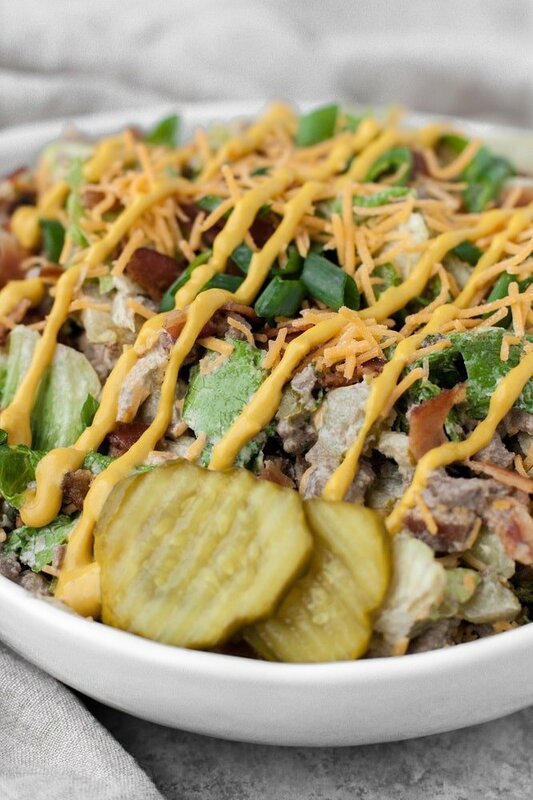 Whoever you grace with this Bacon Cheeseburger Salad will never, ever know it is low-carb so it’s a perfect meal or side dish option to pass at parties and gatherings! 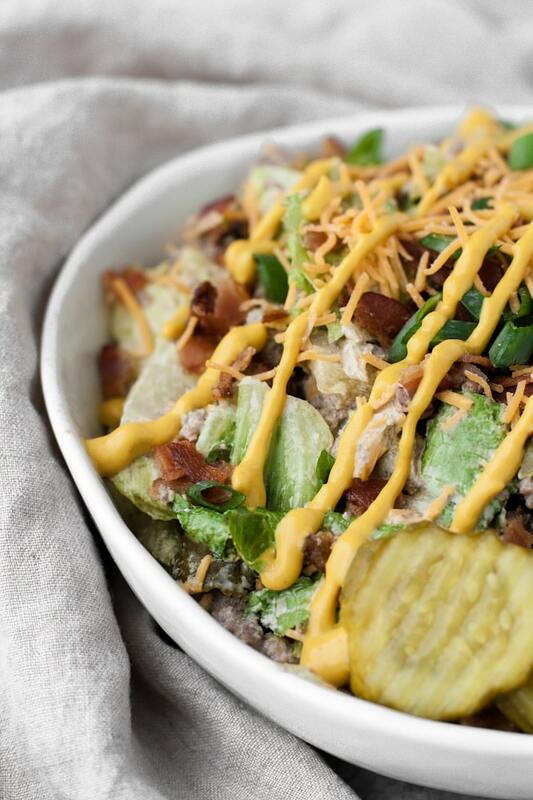 This Bacon Cheeseburger Salad contains 1.2 grams of net carbs per serving, making it a perfect meal for those who follow a low-carb or ketogenic diet. This recipe is keto, low-carb, gluten-free, grain-free, and refined-sugar-free. 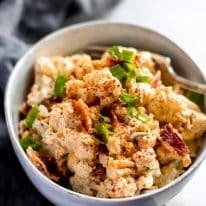 Looking for more keto-friendly meals to prepare? 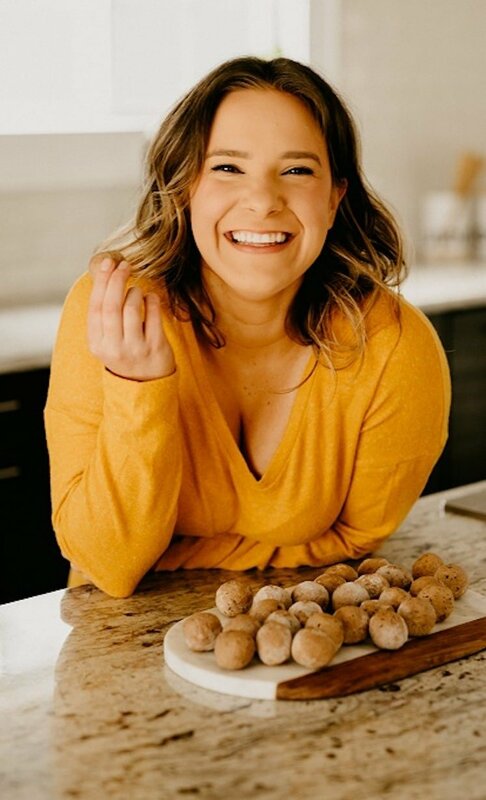 Browse through this keto dinner recipes! 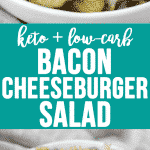 This keto and low-carb Bacon Cheeseburger Salad is packed with flavor and will keep you full and energized for hours! This recipe is keto, low-carb, gluten-free, grain-free, refined-sugar-free, and has only 1.2g net carbs per serving! Preheat oven to 425 degrees and line baking sheet with foil and baking rack. Lay bacon strips on baking rack in even layer. Bake bacon in oven until crispy, about 15-20 minutes depending on thickness of bacon. (Alternatively, bacon can be cooked on stovetop over medium heat and drained of excess grease on paper towel-lined plate). Meanwhile, brown ground beef on stovetop over medium heat. Once cooked, remove from heat, add salt, and mix thoroughly. Do not drain liquid from ground beef. Once bacon has cooked, allow to cool slightly before crumbling. 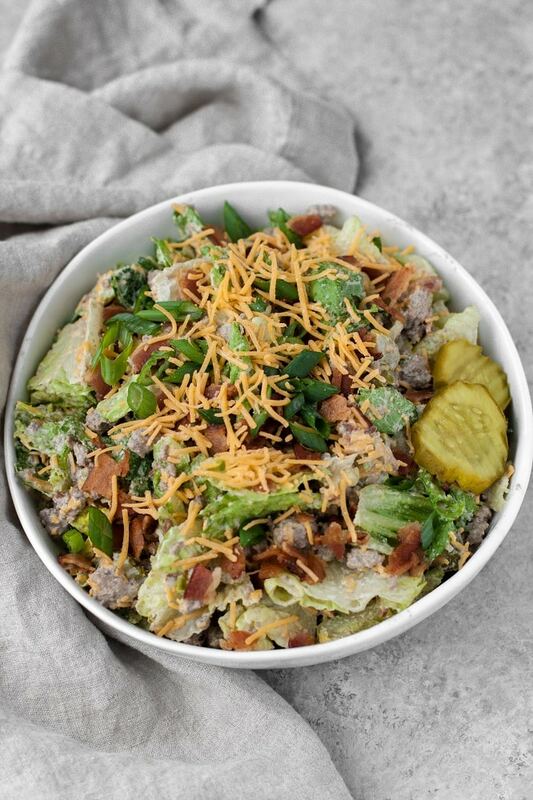 To a large mixing bowl, add ground beef, crumbled bacon, romaine, shredded cheddar, and pickles. In a high-speed blender or food processor, blend dressing ingredients until smooth. Pour dressing over salad and mix until well-incorporated. Transfer salad to refrigerator to chill for 1 hour. 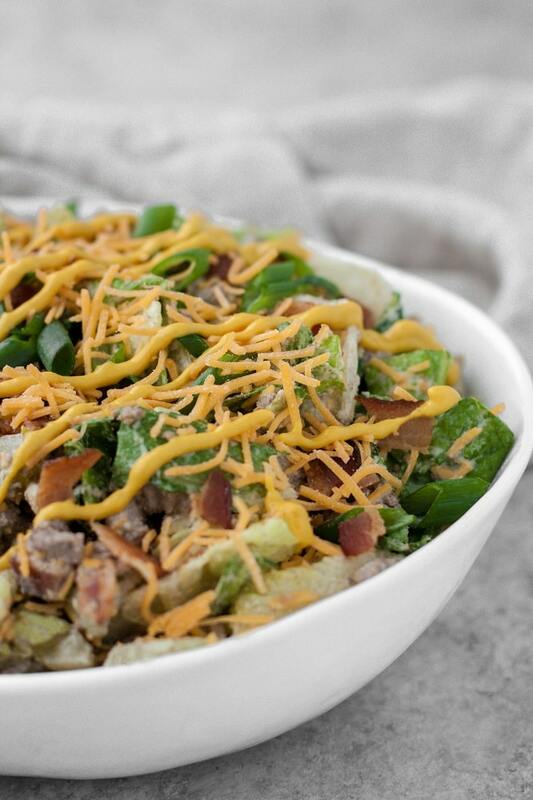 Optional: Drizzle yellow mustard and sprinkle chopped green onions over top of salad. Oh wow, just saw where you said it was like a Big Mac sauce. Sorry! Yes! Exactly like Big Mac sauce… so yummy!!! Thanks, Brooke! I can’t wait to try this! Is it kind of like a “Big Mac” sauce? Sounds delicious!! Maybe a silly question but I want to do this for meal prep and keep the contents separate until the day of. How much do you think a single serving would be? I’m not sure if you’re asking how much a serving would weigh or what the nutrition info would be. I will say, though, that my husband and I ate the pre-mixed version for 4 days after and it tasted fresh and delicious! You could always mix all the salad ingredients together in advance and then take a tablespoon or two of the dressing to mix before serving. Hope that helps, Carly! Easily my new favorite meal. 10/10 would recommend. Thanks, husband/Official Real Balanced Recipe Taste-Tester! Showing them this salad !!!!!!!!? ?